St. John is one of the most visited of the Virgin Islands. With one look, it is not difficult to find out why, as it is an absolute paradise. Some of the most gorgeous beaches in the world along with some of the best hiking opportunities make for some of the best vacation days ever. With so much beauty throughout the entire island, there are many incredible spots that get overlooked. The following are the three best hidden St. John’s attractions. This beach does not enjoy the same visitors as others throughout the island because it does not have that same fine sand. But the locals know it as the best place to get in the water and soak up the sunshine. You will find the calmest and clearest water here, perfect for a day of relaxation. It also provides an awesome opportunity to immerse yourself in the local community to take a break from the tourist activities. Find it on the far east side of the island. This is probably one of the best kept secrets on St. John as you will not find any signs for this secluded beach. Once you find Kiddel Bay, your prize lies just beyond the beach in the shallow water that features one of the most vibrant ecosystems on the island. This is an absolute must-see spot for the snorkelers out there! After traversing this lesser known trail, you will be astounded to find it is not the most popular activity on the whole island. The trail itself offers a moderate incline allowing for a bit of a sweat but nothing too daunting. You will find the prize at the end of the journey, where you will encounter incredible ruins. The views are breathtaking but seeing the remains of this ancient community will be one of the most memorable sights of your St. John vacation. Find it just off North Shore Road (Hwy 20) on the north side of the island. Along with gorgeous spots and unique establishments, you can also find plenty of amazing places to call home while you are on vacation here. The easiest way to find a place that you will love is to seek out the help of Cimmaron St. John Vacation Villas & Condos. We pride ourselves on providing the best and most diverse selection of vacation homes, villas, and condos. You can find homes with views of the ocean or the spectacular landscape of the island. You can find homes with hot tubs, pools, air conditioning, and countless other unique features. And Cimmaron makes it so easy to find exactly what you are looking for. Regardless of the home’s location or specific amenities, you can be sure it will be equipped with everything you might need for a cozy and luxurious vacation. 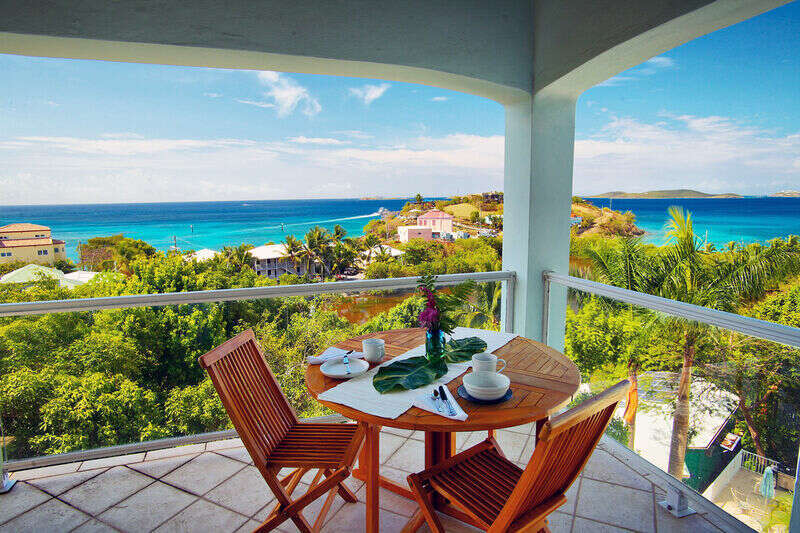 Find the St. John vacation home of your dreams with us today!